"GMOs", "good reads", "headlines", "listen up", "mason jars", "planet news", "policy", "preserving", "self-sufficiency", "swyf finds"
"GMOs", "because i can", "fair food", "food", "good reads", "headlines", "mason jars"
"canning", "diy", "food love", "food", "good eats", "good reads", "locavore", "mason jars", "preserving"
I finally had a day off to do, well, nothing on Sunday, but for people who know me, "nothing" doesn't exist in my world. So, I canned for a few hours in the morning instead. What I made: Herbed pickles, blueberry jam and more caramelized onion jam (more on this recipe later). Not as enthused as I am? I've written about canning (and my little problem with mason jars) before. Canning, pickling and overall preserving of food is such an important skill to learn. And, I only started putting food up a few years ago, by just watching my friends and reading...a lot. If you put the time aside now by freezing, drying and preserving, you can save lots of money, unnecessary trips to the store later on and make some magical gifts for friends. Also, produce is amazing right now, so why not make the most of it? Put 'Em Up! by Sherri Brooks Vinton: See my book review from February. 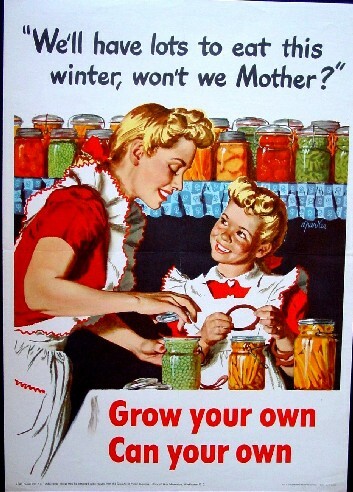 Canning for a New Generation by Liana Krissof: I was a little suspect about this book at first. It was a little too kitschy for me and, on first glance, thought it was trying a little to hard. But, it's now one of my go-to preserving guides. Krissof has organized recipes by season, with beautiful photos, helpful commentary and concise instructions. Even if you're not planning to can, this book provides many alternatives to get the most out of your ingredients and stretch food life, including homemade yogurt. 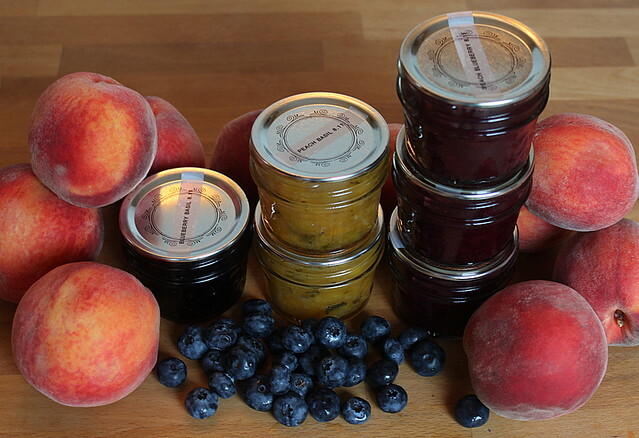 A pretty array of fresh fruit and preserves from Rachel of Hounds in the Kitchen. Simple Bites: Read up and watch the site's canning series here. Next Sunday marks the kick-off to Canning Across America’s third Can-a-Rama, a week of home canning parties and seasonal preserving nationwide. With the growing season underway in most parts of the country, we hope you’ll join us at the canning kettle once again for a simultaneous show of cans around the country from August 14th - 20th. My last attempt to persuade you to can: It's really not difficult or scary! Follow directions on existing recipes, talk to friends about what you want to make, and get preserving. Really ripe, delicious and plentiful right now: Peaches, blueberries, watermelon, onions, early tomatoes, peppers, cucumbers, zucchini...I could go on. Just can!